Organize your space, keep poles and tools off the floor by using the Mr. Longarm Tool Storage Stand. This rack holds up to 24 tools with handles up to 1.375 inches in diameter. 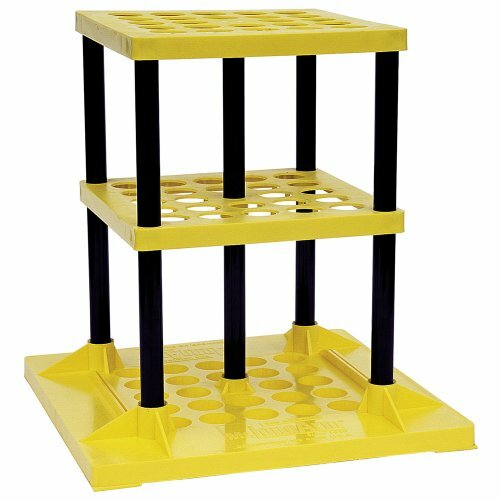 It is a sturdy, lightweight storage stand which requires minimal floor space, 18 x 18 inches. It is very easy to assemble. Better than wood - unaffected by water and humidity and easily cleans up with soap and water. If you have any questions about this product by Mr. Long Arm, contact us by completing and submitting the form below. If you are looking for a specif part number, please include it with your message.